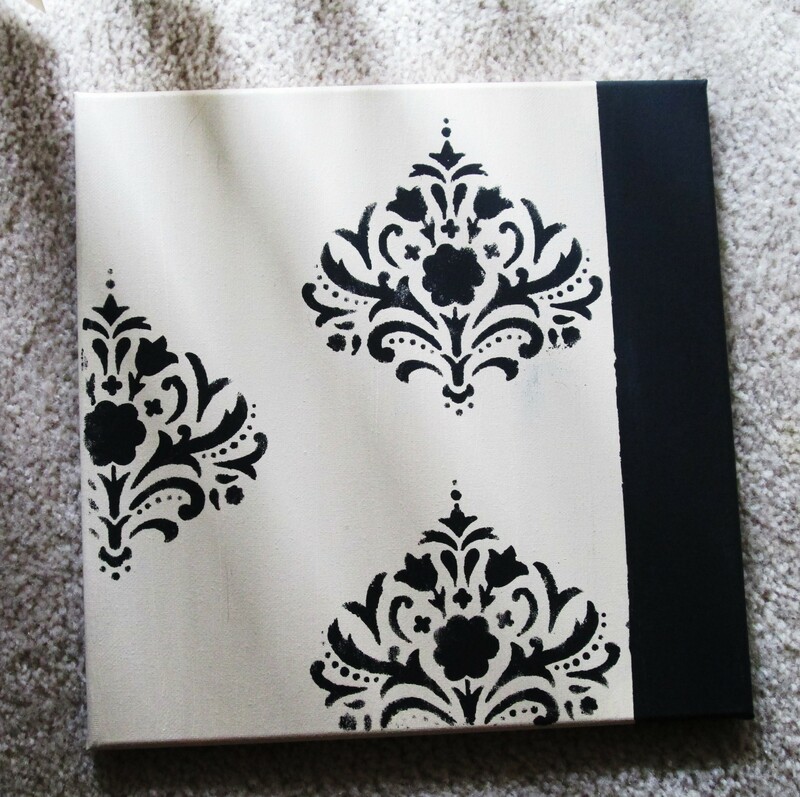 Stencil painting and shopping at Michael’s! Lately I have taken up painting on canvas with acrylic paints. This really has kept me busy since I’m stuck at home the whole day, and can’t drive. I actually saw this idea on Pinterest and decided to try it out. It was quite easy to do and does not require any artistic skill which I tend to lack. 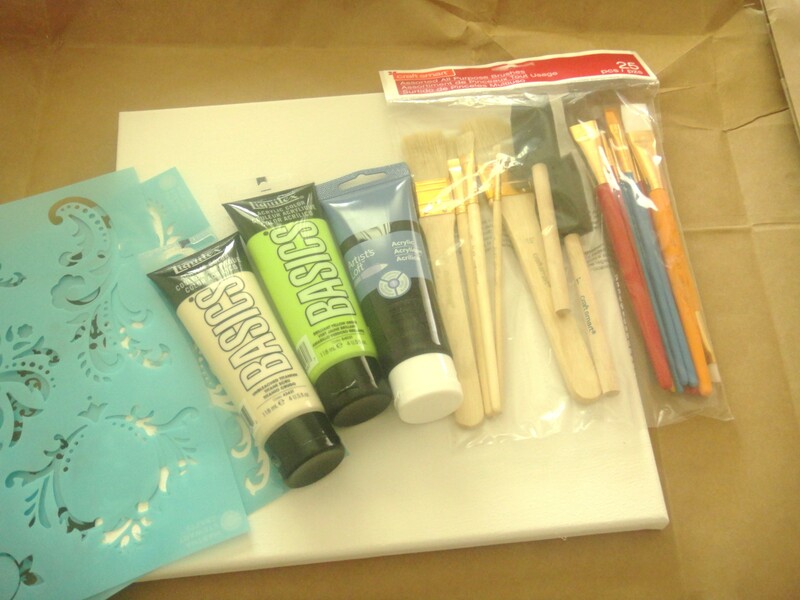 All you need is a canvas (any size), acrylic paints in the colors you want, paint brushes, and a stencil set. I got all my materials from Michael’s and they were quite decently priced. I suggest going in with a list of what you want to get, because once you go in, you really want to buy everything. 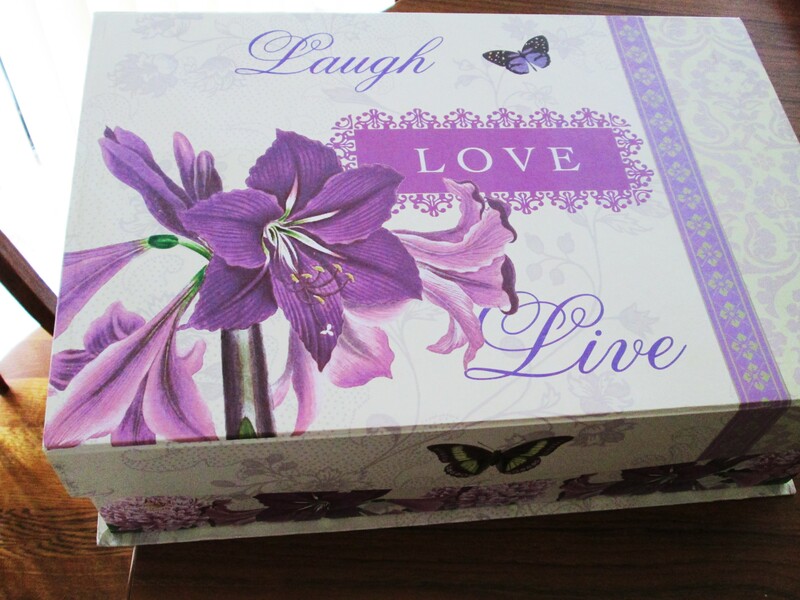 I also ended up buying a pretty box, cupcake liners, and a notebook. They were so pretty and cute, I could not help myself! 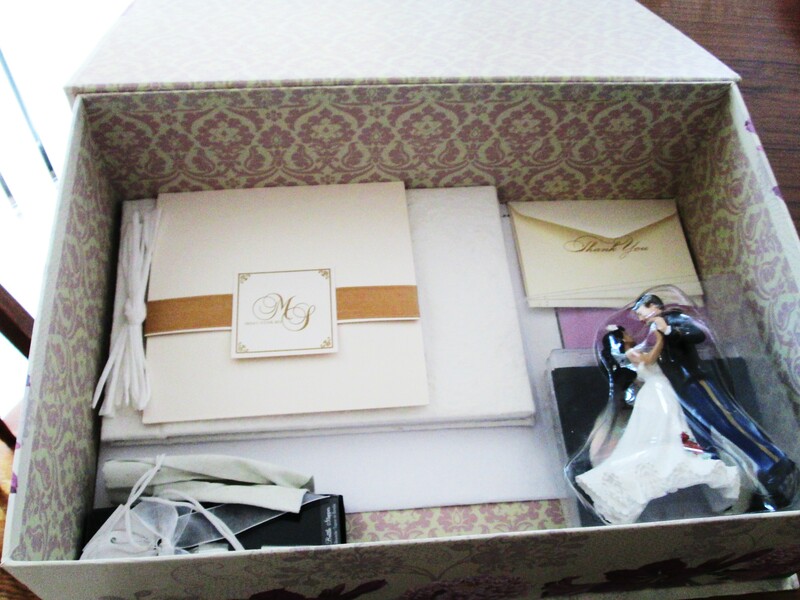 I started to put all the little things from my wedding into the box! 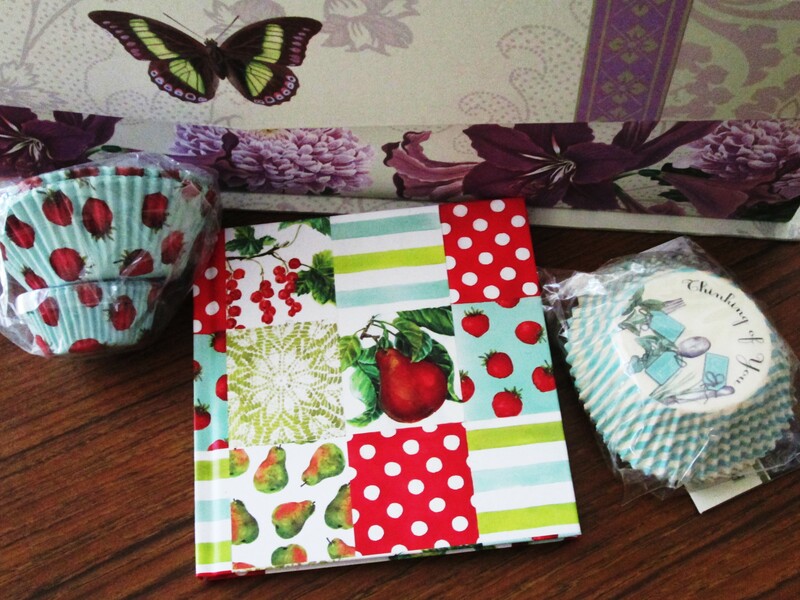 This little notebook and cupcake liners were only $0.50 each! Anyway, this is how I painted the canvas. 1. Place a tape on your canvas to get a straight line when painting. It doesn’t matter where you place it. I did it to the far right. 2. Paint the larger side beige or the color you want. Leave to dry for 1 hour. 3. Remove tape (you should get a clear line-which I did, till I painted the other side black! Then it smudged) Place another tape on the beige side, and paint the smaller, unpainted canvas black. Make sure your take is thick and sticks properly to the canvas. 4. 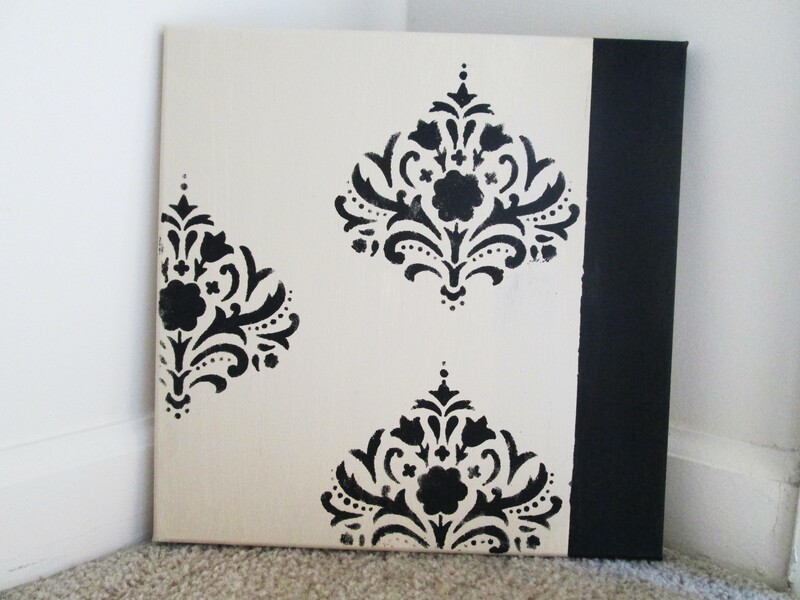 Use the stencil set, and the design you want on the canvas painted beige. Make sure you hold your stencil down firmly to avoid smudges. 5. Leave to dry and then start the design again on another area of the canvas. It’s as simple as that. Note* You can see the black smudges on mine since it was my first time and I did not hold the stencil down firmly. Also my tape was terrible as it did not stick properly and the black paint went through it making the line uneven.